It’s been a big couple of weeks for the apocalypse. In case your “apocalypse reporting” Google Alert has been lagging, I wanted to point to a couple of the highlights. The Media Decoder post set off a flurry of other posts on the Twitters and blogs, but before I could think my fifteen minutes was up, NPR’s On the Media came a’calling: Covering the Apocalypse. It was a lot of fun to get to chat with Brooke Gladstone and to say the phrase “alien-hugging Democrats versus alien-killing Republicans” on the radio. Thanks everyone who helped spread the word about this. Have any ideas for what I should do with “Reporting the end of the world” next? Let me know. From The Big Picture: "Tension in the Koreas"
Many journalists dream of sneaking in to cover North Korea, but the dangers are extreme. Trust me, I learned all about it when two of my colleagues were captured there last year. So if you can’t report there officially and sneaking in is too dangerous – how do you get unfettered access in the Hermit Kingdom? Citizen journalists? Rimjin-Gang is trying exactly that approach: teaching North Korean refugees the skills to report on their home country and then sending them back. 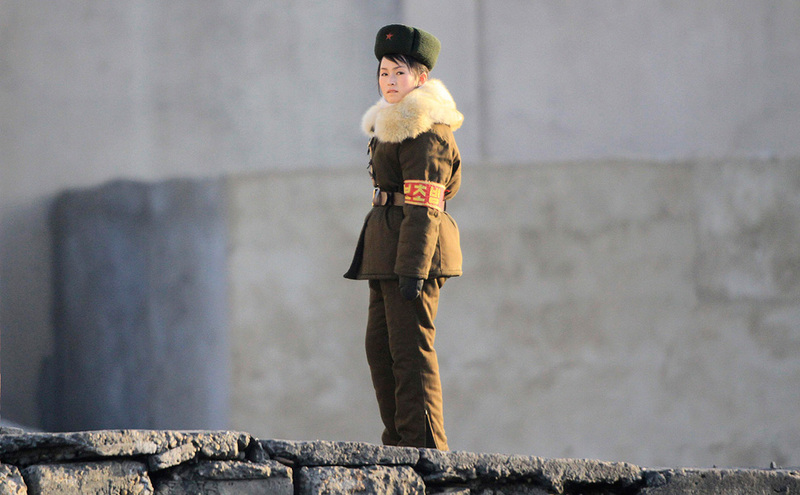 They return with flash drives full of raw information about daily life in North Korea. In an interview with The Nation, Ishimaru explained that the training starts with a discussion of why reporting is important and whether or not such reporting could help bring about change in North Korea. If the recruits are still interested in working with Rimjin-gang after these initial conversations, Ishimaru will then teach them the fundamentals of journalism ethics, interviewing, writing, filming, photography and operation of computer and camera equipment. This process can range from a few months to a few years. Throughout the process, the reporters cannot meet each other for safety reasons. Working in isolation and under pseudonyms for little pay, these reporters are risking their lives because they believe that their work could make a difference for the future of their country. Once they collect enough reporting and photo and video footage, the only way that they can get the files back to Ishimaru is to make the dangerous crossing from North Korea to China with flash drives concealed in their clothing. When I ran Collective Journalism for Current TV, putting citizen journalists into dangerous situations was strongly discouraged. As an editor, being responsible for the safety of independent contractors with little professional training and reporting from a world away was just too much liability. Liability in the legal sense and also in the ethical sense. Of course nearly everyone we worked with wanted to place themselves in danger. Stomp through the jungles of Uganda looking for the LRA or slip across the Burmese border at Mae Sot. Once during the Isreal-Lebanon war, one of our contributors was nearly struck with a Katyusha rocket. It made for great television, but we never wanted it to happen again. So how does Rimjin-Gang address the danger? We are often asked, “Isn’t this dangerous for the reporters?” When thinking about the situation in North Korea today, the only answer we can give is, “Of course. It is extremely dangerous.”….Reporters take these risks because they have a strong will to let the world know the reality in North Korea and inspire a desire to improve the situation there. It almost demands a different classification than citizen journalist. Or impoverishes the use of “citizen” in all other citizen reporting contexts. “Citizen” the way we typically use it implies pedestrian, everyday. The reporters of Rimjin-Gang conduct their work at the highest ideal of citizenship. Working at great risk to better their state, to bring light to the travails of their countrymen. I’ve been working a crazy freelance project for the last couple of weeks which has meant no blogging, no working on Project Lazarette, and just a little sleep here and there. I was able, however, to squeeze in some reporting! The Bold Italic is an online publication here in San Francisco that focuses on experiential journalism presented amidst beautiful design. I reported a two part story for them about our controversial city ballot initiative Prop L, making it illegal to sit or lie on sidewalks between certain hours. Proposition L: Man is the rhetoric on this one confusing (classic California ballot initiative). The pro side claims “sidewalks are for everyone” and the con side says “sidewalks are for people.” In Part One of my story I hung out on street corners and talked to the folks that do the sitting and lying. And then in Part Two I talked to the merchants who deal with them every day. The Process: Well, if you can believe it, I took a little notebook and walked down to Haight St and actually talked to people. Things I did not use: my computer, the internet, Gawker, my iPhone, links from SFist. People, for the most part, were ready to talk, though a few folks told me they wanted to keep their opinions to themselves because it was too divisive of an issue. It helped to be so close to my front door because I was able to take breaks to come back and type up notes and draft scenes. But the biggest undertaking was the edit. My original draft was easily 6000 words – and B/I wanted 1500 apiece. I cut all day up to the deadline and still delivered some way-too-long articles. The Bold Italic: I’m super-impressed with the presentation of the stories (look at that scrolling!) and greatly enjoyed the experience. To go from the messy Word doc I emailed over to them to these two gorgeous pages was an awesome transformation. I have a bias toward any online publication that adds something new to the conversation instead of just re-blogging with clever headlines, and I think The Bold Italic does a great job in doing this. Original content + Readable style + Eye-catching design = Great online content. Hence I found myself reading a college op-ed bemoaning the possibility of the University of Colorado, Boulder phasing out their journalism program. There’s more to it, but that’s not what I’m interested in. Of course there’s the expected anti-citizen journalism vitriol in the preceding paragraph (“…when anyone with a case of Diet Coke, mild carpal tunnel, a working knowledge of design programs and a laptop can be considered a “citizen journalist…”), and the dentistry analogy is supposed to drive that home – but it actually set me brainstorming in a different direction. To borrow and change this metaphor a little – Let’s say journalism is a bit like medicine. You’ve got your general practitioners and your specialists. And citizen journalism is akin to citizen medicine. Which is not a bad thing! You only want a well-trained licensed doctor to perform surgery just in the same way it’s preferable to have august, credentialed and venerated minds at a place like ProPublica conducting your investigative reporting. But trust me, it’s of great valuable to society for everyone to know a little bit about first aid and to have a few folks around who are trained in CPR. What simplistic arguments against citizen journalism do is conflate CPR with open heart surgery, bandaging a cut with re-attaching a limb. What does this give us to work with? Perhaps we should extend this analogy to education. With the same ubiquity as posters in the workplace that teach citizens how to perform first aid, perhaps the media should start to include little tips and tactics of performing one’s part in journalism? Forget branding it citizen journalism, forget starting formal programs that you can join as a “[vowel]Reporter”. Just offer weekend training sessions for the truly interested, online tips for proper cellphone photography, and easy-to-navigate ways to become deputized in a greater effort.